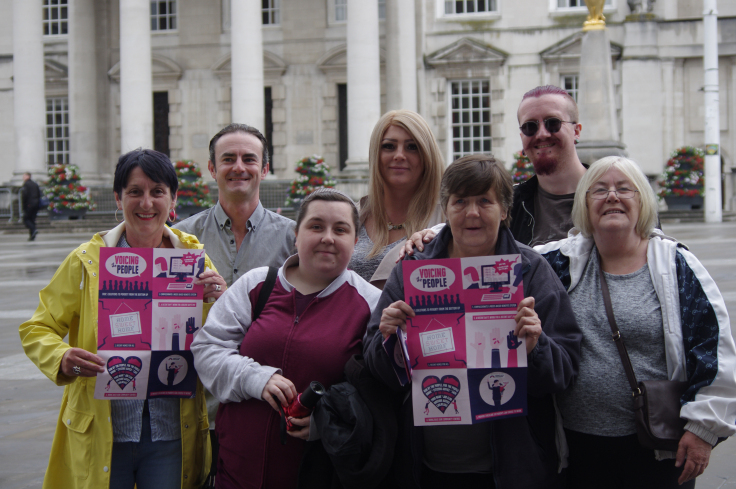 We are a group of campaigners who have direct experience of living in poverty. We are working together to come up with solutions to some of the biggest issues that lock people in poverty across the UK. We are ATD Fourth World, Dole Animators and Thrive Teesside. We’ve been working with a designer, Dan Farley, and a researcher, Ruth Patrick, in a series of workshops to explore the problems we face and to visualise our ideas for solving poverty. ATD FOURTH WORLDis a human rights-based, anti-poverty organisation with more than 40 years’ experience of engaging with individuals and institutions to find solutions to eradicate extreme poverty in the UK. Working in partnership with people affected by poverty, ATD Fourth World has, since 1968, concentrated its efforts on supporting families and influencing policy. Dole Animatorsevolved out of a collaboration between a group of Leeds-based benefit claimants who worked together to make an animated documentary about the reality of the impact of the government’s recent welfare reform. The project built upon qualitative research exploring lived experiences of welfare reform, as part of doctoral research by Ruth Patrick. Working in partnership with award-winning documentary filmmaker Ellie Land, fifteen out-of-work benefit claimants were interviewed three times as they experienced the direct consequences of various welfare reforms. Thrive Teeside provides support for people looking to escape poverty and improve their livelihoods. The organisation prides itself on bringing communities together, showing that people are not alone in experiencing these problems. Thrive also campaigns against unfair practices suffered by those living in poverty (locally and nationally), challenging the rent to own sector, jobcentre sanctions, zero hours contracts and run a Living Wage campaign. Thrive raises awareness of issues faced by people living in poverty, working in partnership with others to carry out action research projects. This is not just about having a voice, it’s about finding a way to use our voice that will hold politicians to account for the very real impact that their decisions have on millions of people’s lives.